Please ask any other questions you may have below in the comments and as I get time, I'll try to answer them here. I'm so awful at returning emails, as I get many a day and so many just get lost in the shuffle. Honestly, I read each and every email...I just can't possibly answer every one because my inbox fills up so quickly. Asking art/photography/print related questions here will help me keep better track of them and increases the chances that you'll get an answer. Thanks so much y'all!!! I use a Canon XT Digital Rebel (which is a digital SLR) mounted on a tripod to take my photos for online and for art prints. 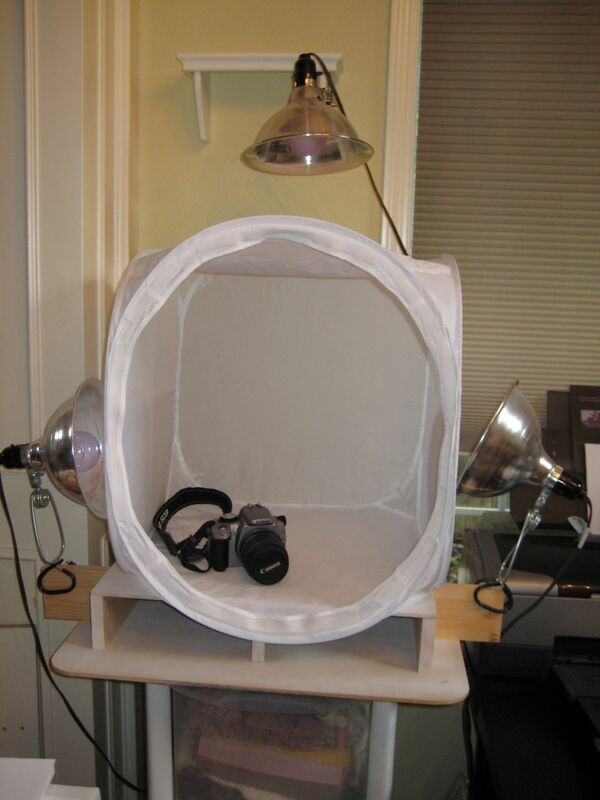 I use a collapsible light tent from Tabletop Studio and three full spectrum bulbs at 150 watts each. I create my own fine art prints by taking my digital photos into Adobe Photoshop and adjusting the colors until they are as close to the original painting as possible. Then I use my Epson Stylus Photo R1800 printer to create my giclée art prints on Epson matte photo paper.